Trion Gives Gift To Defiance Players! Defiance had a bit of a rough start after being released on April 2nd. Not shocking, as that’s the case with most new MMO’s. But, not willing to just follow the trend of shaky launches, Trion Worlds is giving gamers a gift for their troubles! Trion is giving fans an exclusive launch only in game title (Daredevil) and 1-Week boosts for weapons, Scrip, Loot and XP. I’ve seen hour long boosts, even 24hr ones…but week long boosts? Trion is certainly trying to make amends for the issues fans have faced. · Improved server and client stability. 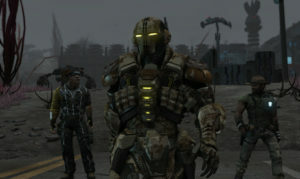 · Main missions are now replayable after completion of the last mission. · Extraction timer upped from 30 to 90 seconds to allow more time for fellow players to revive you. · Optimized objects throughout the world to minimize pop-up and improve overall performance. · Area voice chat has been improved and is now off by default. · Voice and text chat channels can now be muted independently. · Text chat now displays for longer and no longer hides when sprinting or boosting. · General polish and bug fixes for all missions and side missions. · General polish and bug fixes for all co-op and solo maps. There will be more updates coming later on. Again, this sort of thing is to be expected; it’s one reason we don’t have a review up just yet (and because MMO’s take time to review). More good news comes in the way of the Defiance TV show. It premiers this coming Monday; I can’t wait to see how the game and the show interact with one another! Be sure to check back as we continue to cover Defiance. Also, be on the look out for our review! 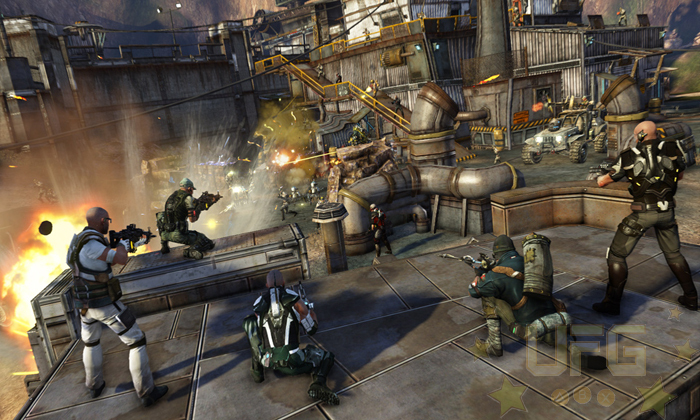 Defiance is a fun shooter. I wish it had better core story and less repetitive missions though.